Oliver Murray of Contemporary Photography has become the first Irish recipient of an international award for enhanced virtual tours. 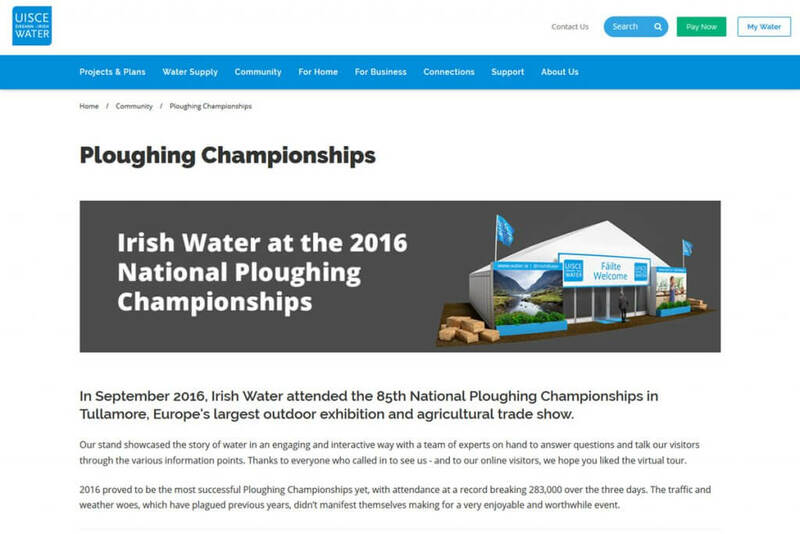 In September 2016 Irish Water, Ireland’s national utility for water and wastewater services, attended the 85th National Ploughing Championships which is Europe’s largest outdoor exhibition and agricultural trade show. The Irish Water stand focussed on the size and scale of Ireland’s water network, the projects that are being undertaken to update and improve it along with the part that the public can play in water conservation and pollution prevention. 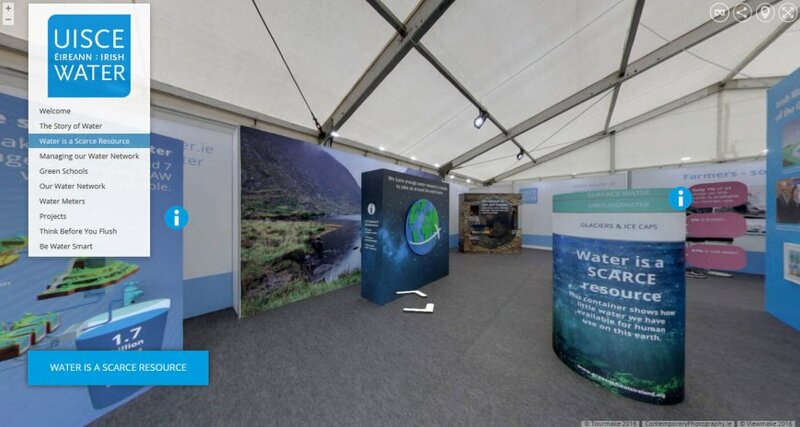 The Irish Water stand, one of 1,500 at the three day show, told the story of water through imagery, interactive props and explanatory information. 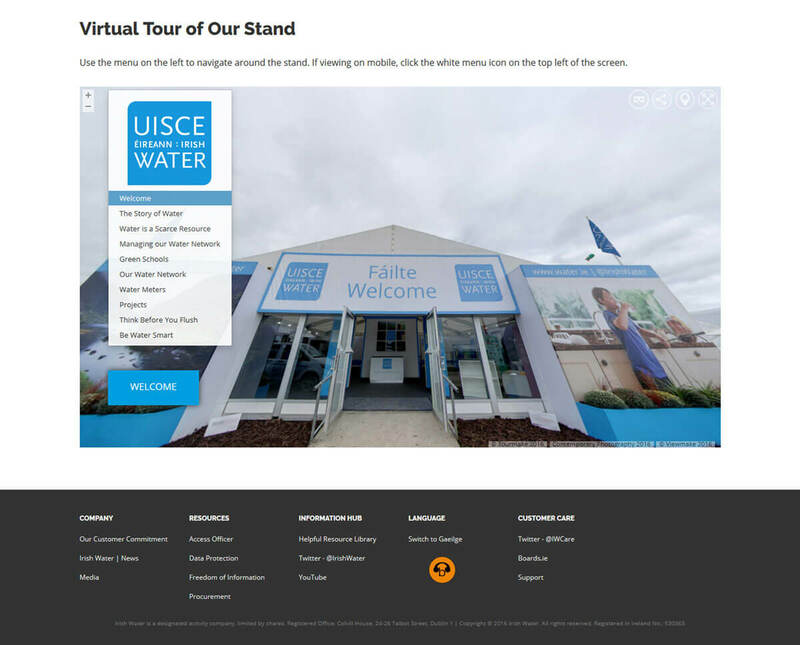 Oliver Murray of Contemporary Photography was hired to create a virtual tour to showcase the stand on water.ie, the Irish Water website. As it was a temporary exhibition the tour was not eligible for a Google Street View virtual tour so instead Oliver used Viewmake to create a tour that had the familiar ‘Google’ look, feel and performance. Tourmake was then used to add interactivity and rich content including text, graphics, images, and links for visitors to learn more about the work Irish Water is doing to improve the Irish water and wastewater infrastructure. The finished tour, combining Viewmake and Tourmake, allowed users to move seamlessly around the stand and learn all about the story of water.